First Motors, the exclusive distributor of Hyundai and Genesis vehicles in the Kingdom of Bahrain, is participating in Bahrain Auto Fair 2018, the largest automobile festival in Bahrain, which is being held at Bahrain Bay from the 17th to the 21st of January, 2018. The five-day event, which comprises of premier automotive related exhibitors from both the government and private sectors, is being held under the patronage of His Excellency Shaikh Hisham Bin Abdulrahman Bin Mohammed Al Khalifa, the Governor of the Capital Governorate. At the exhibition, First Motors is currently showcasing its award-winning, highly acclaimed models from both its premium Hyundai and luxury Genesis brands, capturing the attention of both general visitors and ardent car enthusiasts alike and drawing in a higher turnout with each passing day. 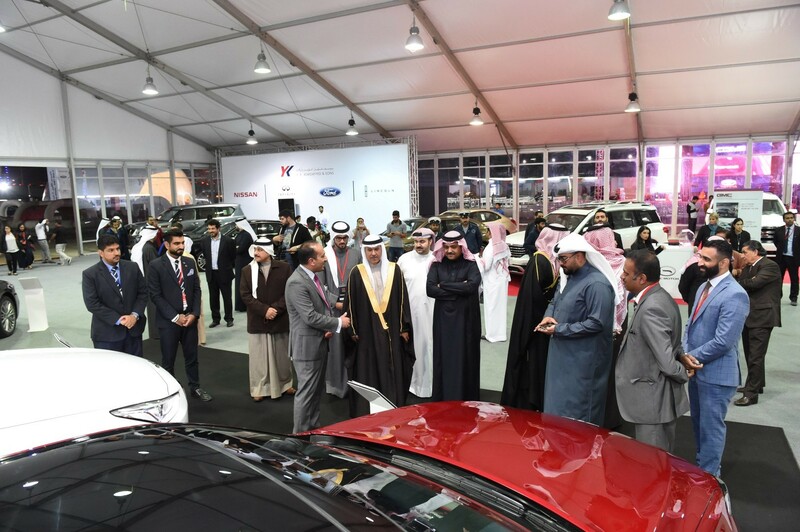 With a diverse line-up of popular models that conveniently suit the different needs of would be buyers being displayed in the premium zone area of the exhibition, First Motors intends to enhance its status as the leaders in the provision of customer-oriented automobile services and products in the Kingdom of Bahrain. The prestigious dealership aims to do so by easing the browsing and purchasing experience and presenting its vehicles at the Kingdom’s most prominent auto fair. “In light of the expansive reach of Bahrain Auto Fair 2018 in the Kingdom, we take this opportunity to proudly announce the introduction of a revolutionary new product known as H-Guard, which is a premium paint and interior protection product that substantially aids in keeping vehicles in pristine condition. H-Guard represents a bold new evolution in paint protection products and our decision to introduce in the Bahraini market stems from our trademark innovativeness and our adaptive approach to servicing our customers,” he added. H-Guard is developed to withstand the harshest environmental and climatic conditions with the help of the most technologically advanced paint sealants. With H-Guard, owners can now treat their cars to premium quality protection on both its exterior and interior make-ups with a product that is proven to be superior to any other such car care products currently available in the market. At Bahrain Auto Fair 2018, First Motors is also hosting a separate parts and accessory booth which exhibits its certified genuine spare parts that are backed by warranty as well as a vast range of premium car accessories. “We look forward to welcoming automotive enthusiasts from all around the Kingdom of Bahrain to indulge themselves in our presence at Bahrain Auto Fair 2018 and browse through the extensive array of outstanding vehicles and impressive offers we have on avail,” he concluded. Bahrain Auto Fair 2018 is expected to attract more than 40,000 visitors and offers important opportunities to build relationships within the industry, to showcase progress and achievement in the sector, and to explore new opportunities with stakeholders in the automobile field. First Motors, part of Al Zayani Investments group, is fully committed to demonstrate to the Bahrain market that Hyundai is the brand that represents unique value for money without compromise. Their confidence in Hyundai is demonstrated through their sensational Lifetime Warranty that is offered on the entire range of Hyundai passenger vehicles.